Making a living isn't always easy-you have to work hard to get where you are, and you know full well, first-hand, the true value of a dollar. If you're going to purchase something with your hard-earned money, it stands to reason you want the best out of what you pay for. Anything else is just a waste of not only your savings, but all the effort you put into earning it. When it comes to purchasing something major, you look into its value, in the truest sense of the word-it's not just about price, it's about all the other things that come together to make it a lasting, worthwhile addition to your life. So if it's a truck you're in the market for, you're going to make sure it's worth every penny. Your best choice for value out of a pickup? Dodge RAM. The light-duty 1500 was named the Consumers Digest "Best Buy" winner for the 2017, 2015, 2014 and 2013 model years. 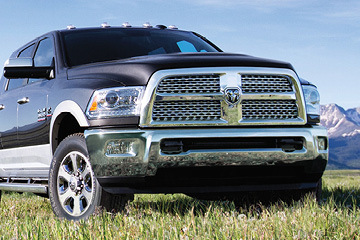 That's years of critical acclaim and owner satisfaction, and that's just for RAM light-duty. 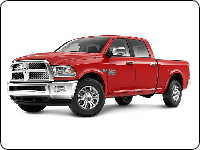 Going into heavy-duty territory, you've got RAM 2500 and 3500, which both provide incredible, award-winning capability along with Best-in-Class features and Class-Exclusive advantages that no other truck can offer. 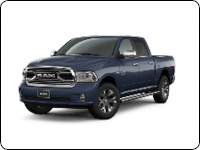 In addition to that, RAM offers a wide range of extras, advanced technology, and other available features that allow you to customize your RAM the way you want it. But all that would be of little importance without the durability to back it up, and RAM has that in spades. Looking at light-duty truck sales from the past 28 years, an astounding 81% of RAM trucks are shown to still be on the road today-Ford and GMC fall short at 70%, as does Chevy with 68%. RAM heavy-duty follows the same trend, with an amazing 85% of RAM trucks from the past 23 years of sales still being driven to this day-again, the competition is behind with GMC at 83%, Chevy at 79% and Ford at 69%. That makes RAM the longest-lasting line of both light- and heavy-duty trucks in Canada, an accolade RAM bears with pride. 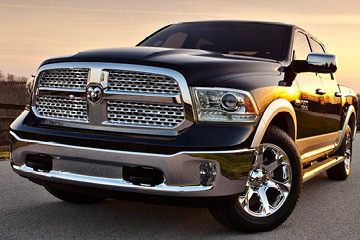 So choose RAM for your next truck-You've earned it, and you deserve it. The RAM 1500 might fall under "light-duty" in size and weight categories, but the muscle it can generate more closely matches that of trucks of a heavier class. 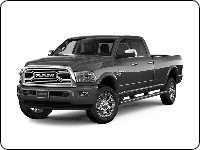 Equipped with the available 5.7L HEMI® engine, the RAM 1500 is capable of producing an incredible 395 horsepower with an impressive 410 lb-ft of torque. 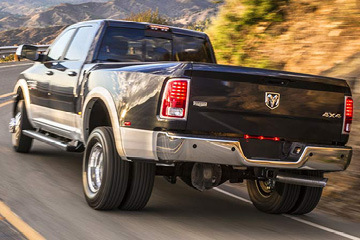 With that kind of power to draw from, the RAM 1500 can muster a max towing capacity of up to 4,826kg (10,640lb)! 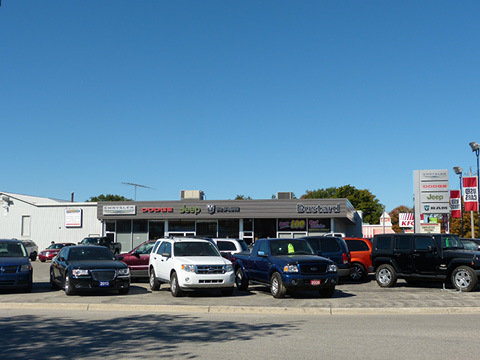 Choose the HEMI, and drive with Canada's Best-Selling V8 engine! The RAM 2500 has a lot to offer over its competition, being the best in its class where it really matters. It starts with Best-in-Class ¾-ton gas engine towing up to 7,403 kg (16,320 lb), continues with Best-in-Class 410 gas engine horsepower with the 6.4L HEMI® VVT V8, keeps going with Best-in-Class curb-to-curb turning radius and heavy-duty front and rear suspensions, and doesn't even stop there. Throw in its supremacy as Canada's most capable full-size off-road pickup, and there's hardly any reason to look at any other heavy-duty truck of its class! Whether towing massive trailers for work-related reasons, or going out on a trip with a camper or boat, you'll need maximum towing power to get the job done. The RAM 3500, armed with the 6.7L Cummins® Turbo Diesel I-6 engine mated to the AISIN® automatic transmission, delivers up to a massive 900 lb-ft of torque-that creates a jaw-dropping maximum towing capacity of up to 14,157 kg (31,210 lb). 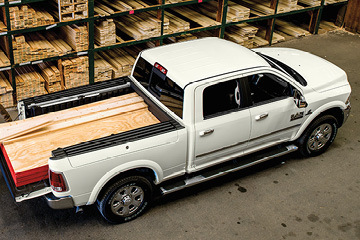 At the wheel of a RAM 3500, you're ready to tow anything you can hitch to the back. You know that idea that trucks are gas guzzlers? That aiming for better fuel economy comes at the cost of capability, defeating the purpose of having a truck in the first place? The RAM 1500 blows that away with the class-exclusive 3.0L EcoDiesel V6, which operates at a Best-in-Class 8.0 L/100 km (35 mpg) highway, making the RAM 1500 the most fuel-efficient full-size pickup ever! As for power? Enjoy the strength of 420 lb-ft torque at your disposal.